The Writing-Intensive (WI) Focus Board is currently accepting new course proposals. Do you use writing to promote learning, critical thinking, or communication skills? Do you give students feedback on their writing? Do you require at least 4,000 words of writing? Are writing assignments worth at least 40% of the course grade? Do you like small classes (20 students maximum)? If so, your course could be designated as Writing-Intensive (WI) at Leeward and provide added value for your students. 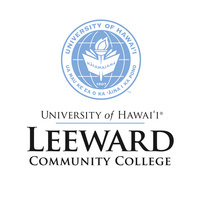 Our AA degree requires completion of two Writing-Intensive (WI) courses, and we want to increase the diversity of WI courses offered at Leeward. Help your students deepen their learning by offering a WI course! The proposal submission deadline for courses offered in Spring 2019 is August 31, 2018. If you have any questions, please contact Jeremiah Boydstun, WI Focus Board Chair, at x338 or boydstun@hawaii.edu.